This week, original panelist Tom Chick returns to wax poetical about Fallen Enchantress, Stardock’s follow up to Elemental: War of Magic. He finds a welcome audience in Fallen Enchantress lead designer, Derek Paxton. What do Rob, Troy and Bruce have to add? 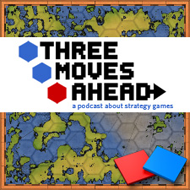 Listen to a discussion of design docs, original vision, AI debates and discussion of the early game. The MP3 can be found here and I encourage all of you to join the discussion over at the official forums.